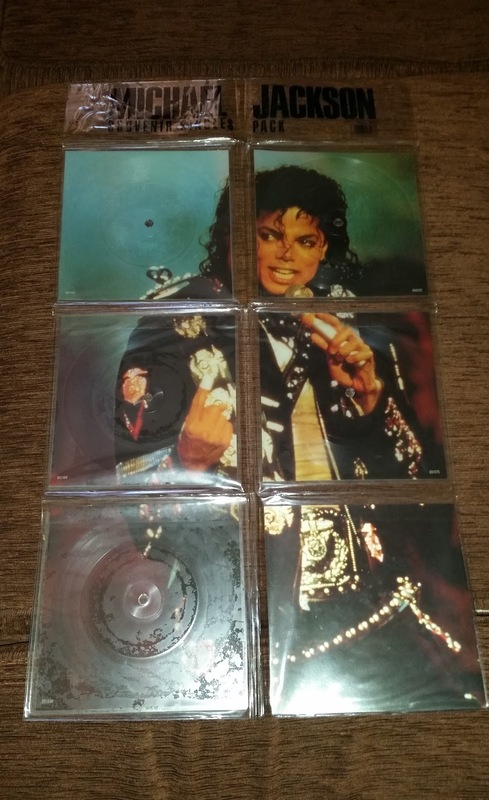 This rare collectors souvenir set of 5 x Michael Jackson SQUARE picture disc was released in 1988 in the UK, to celebrate and promote the BAD tour. Each single includes its lyric/picture booklet. 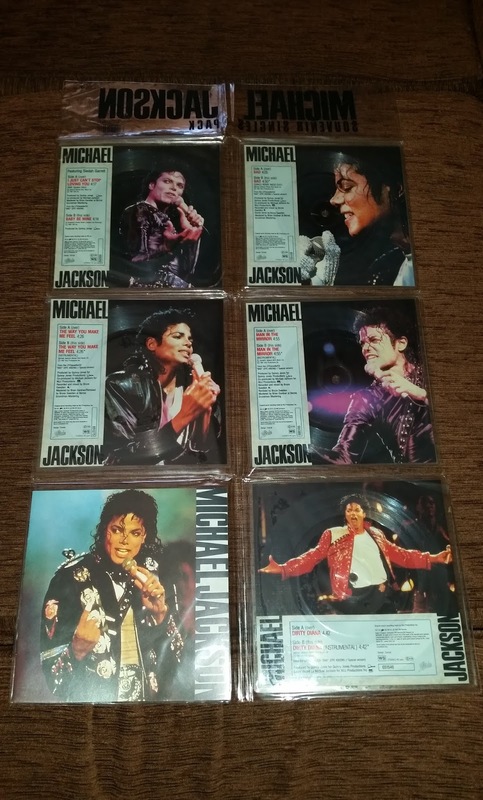 The set is presented in a custom title-printed fold-out PVC display wallet, with the B-sides of the discs featuring different images of Michael, whilst the A-sides create a 14" x 21" iconic image of the superstar.